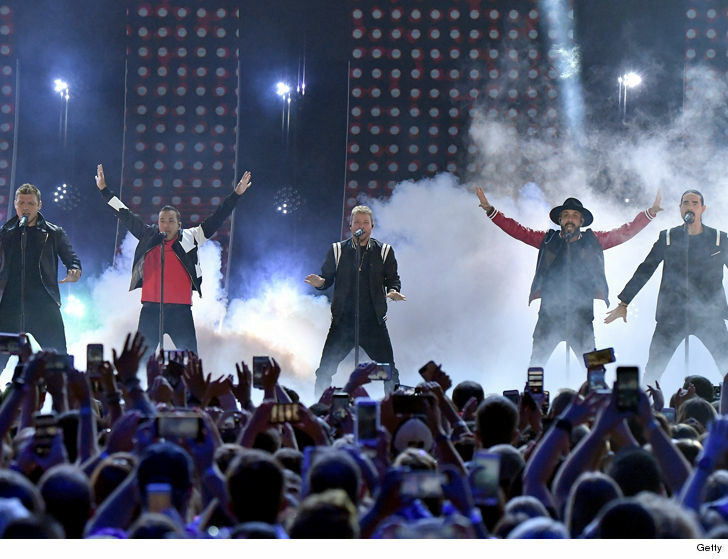 At least 14 Backstreet Boys fans waiting for their show to begin were injured when nasty weather caused a structure to collapse … according to various reports. The outdoor pavilion concertgoers at the WinStar World Casino and Resort in Thackerville, Oklahoma venue were treated by emergency personnel and taken to local hospitals. Reports say they were waiting in a large tent area when the severe weather caused the awning to fall on top of them. BB members Kevin Richardson and Nick Carter tweeted about the ordeal, saying emergency crews were helping their fans … and Kevin just informed everyone the show’s been canceled. Carter echoed the “safety first” sentiment earlier, as well. Footage of the aftermath shows several people were hurt, but as far as we know … there have fortunately been no deaths as a result.